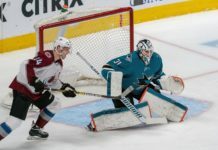 95 — the number of points accrued by the fast-tracked, rebuilt Colorado Avalanche. An achievement of monumental proportions that shocked the NHL world, improving from 48 points just a season ago. Lead by general manager Joe Sakic at the top, he’s known that this young core the Avalanche possess is good. Real good — and he couldn’t be more proud of the young kids in how they’ve played this year. 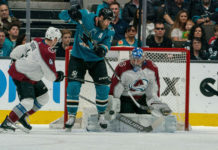 In an interview with Eric Goodman and Les Shapiro of Mile High Sports AM 1340 | FM 104.7, Sakic dishes on the turnaround from 48 points in 2016-2017 season, to the nearly-doubled 95 points of this year and how the young faces are changing the fortunes of the Avalanche. 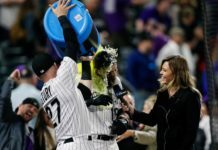 Sakic talks about the close-knit bond between the Avalanche players and how that’s playing a major part in weathering the storm of ups and downs in a full season. 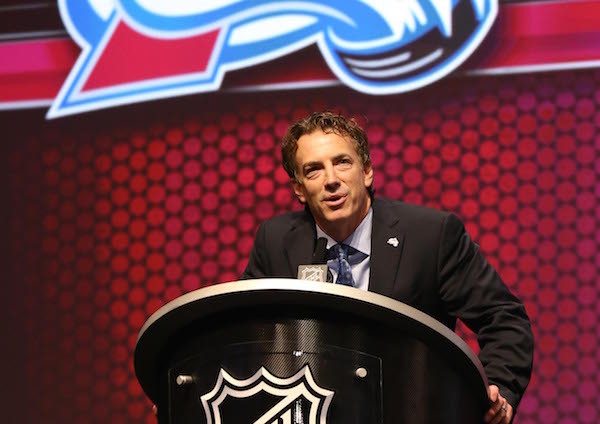 Click here to listen to the full interview with Joe Sakic, including what he had to say about the Avalanche moving forward, the series against the Predators and more, or listen to the podcast below. Catch Afternoon Drive with Goodman and Shapiro every weekday from 4p-6p on Mile High Sports AM 1340 | FM 104.7 or stream live any time for the best local coverage of Colorado sports from Denverâs biggest sports talk lineup. Download the all-new free Mile High Sports Radio mobile app for Apple or Android.